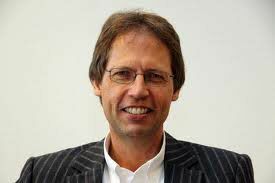 Prof Nico N Koopman is currently Vice-Rector: Social Impact, Transformation and Personnel of the University of Stellenbosch (South Africa). As Vice-Rector: Social Impact, Transformation and Personnel, Prof Koopman is responsible to initiate and manage partnerships with the community. This facilitates cooperation among various parties and enables a two-way learning process. 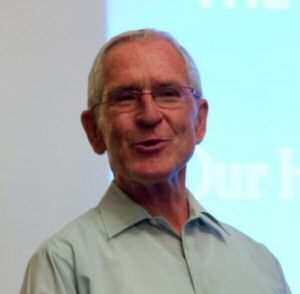 The Campus Health Service​, delivering a professional medical service to students and staff, and part of Stellenbosch University’s wellness initiatives, also falls under his direction. Prof Koopman is known as an outstanding church and academic leader with national and international acclaim. He serves on various University Committees, and on various local and international Church Committees. Bishop Dr N.P. Phaswana has retired from active ministry as a Bishop of ELCSA Central Diocese (that covers Gauteng Province, parts of Free State (Vereeniging), Mpumalanga (Delmas) and North West Provinces (Potchefstroom). He served as Presiding Bishop of the Evangelical Lutheran Church in Southern Africa (ELCSA) until 2015 and was a member of the SACC National Executive Council from 2014 till May 2017. He also served as LWF Council member from 2010 until May 2017. 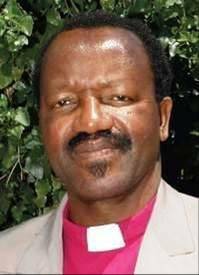 Before becoming a Bishop, he served as a Parish Pastor and Executive Secretary for ELCSA Northern Diocese from 1979 to 1996 and was a Pro Rector at Lutheran Theological Seminary and Senior Lecturer in Systematic Theology and Theological Ethics at the University of Natal, Pietermaritzburg. He was elected President of Lutheran Communion in Southern Africa (LUCSA) in 2013. LUCSA is a communion of 15 Lutheran Churches in 10 countries throughout Southern Africa. Bishop Phaswana is a Council Member of the Lutheran World Federation (LWF) a global communion of 142 churches in the Lutheran tradition, representing over 70 million Christians in 79 countries. Bishop Dr N.P. Phaswana also serves on a number of boards and committees. He chairs Echo Foundation since 2016. The Foundation is involved in social development through promotion of music and agriculture in rural areas. He has been involved in social justice and community activism as well as advocating for church involvement and response to HIV and AIDS for many years. His passions include social development and community services. In 2002 he established Diakonia AIDS Ministry (DAM), a social ministry that responds to the spread of HIV and AIDS as well as the increase of social issues associated with HIV and AIDS in the community. He is married to Mrs Fikile Phaswana and they have 3 children and 1 that has passed on. They have 5 grandchildren. He is now residing in Polokwane, Limpopo. 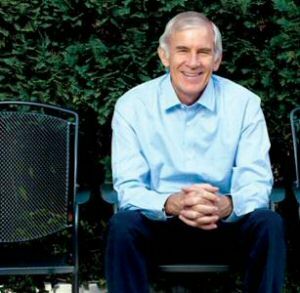 Before retiring Dr Brian Brink was the Chief Medical Officer of Anglo American plc. 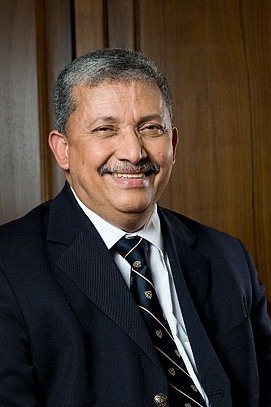 He advised Anglo American plc Group companies on a broad range of health issues, ranging from occupational health and employee health benefits to health systems strengthening in disadvantaged communities. Dr Brink strives to enhance the role of the private sector as a partner in improving access to sustainable, quality healthcare – particularly in developing countries. Dr Brink has been actively involved in tackling HIV/AIDS since the beginning of the epidemic. He is responsible for guiding Anglo American’s response to HIV/AIDS and TB, both in the workplace and in communities associated with the company’s operations. On a broader scale, Dr Brink is actively involved in addressing the particular challenge the HIV/AIDS and TB epidemics pose to business in Southern Africa and internationally. He also has an active interest in gender issues in relation to HIV and AIDS, particularly the extraordinary vulnerability of young women and girls to HIV infection. Representing the Private Sector, Dr Brink has served the board of the Global Fund to fight AIDS, TB and Malaria since the inception of the Fund and was vice-chair of the Fund’s Audit and Ethics Committee for a two year term. Dr Brink is a member of the South African National AIDS Council (SANAC) Trust, which oversees the implementation of the National Strategic Plan for HIV, TB and STI’s. 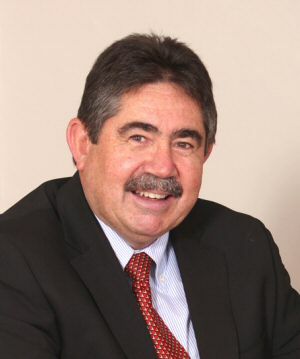 Dr Brink is an independent director of Discovery Holdings, the largest health insurer in South Africa, with interests in the US, UK and China. He also sits on the boards of various NGOs involved in health and human rights including “Section 27 (incorporating the AIDS Law Project)” and “Right to Care” in South Africa; and the International Women’s Health Coalition based in New York. Oberkirchenrat Rev Dr Ulrich Möller is a member of the Governing Church Board of the Evangelical Church of Westphalia, Germany since 1999. He serves as Head of the Department for Ecumenical Relations, Mission and global responsibility. He is married with two children. Dr Möller has a Ph.D. in Systematic Theology (Ethical and Ecclesiological challenges within the Protestant Debate on Nuclear Armament). He has served in a local congregation in the Church of Lippe for seven years. He also served as officer for ecumenical relations, mission and one world issues. Dr Möller has published and edited publications on peace, the ethical implications of economic globalisation and poverty eradication, climate justice as well as economic justice issues. He is actively involved in international processes, dialogs and programs on these issues on the level of the World Communion of Reformed Churches, the Conference of European Churches and the World Council of Churches. Kevin Patrick Dowling was born in Pretoria. He was ordained as a priest of the Congregation of the Most Holy Redeemer in 1967. On 2 December 1990 he was appointed as the Bishop of Rustenburg, in the North West Province of South Africa. Bishop Dowling has been involved in the HIV epidemic since the 1990’s. As human rights advocate, he publicly advocated in the field of HIV and AIDS. In 1998 he founded Tapologo as faith based community-centred HIV and AIDS programme. With special concern for the poorest and most vulnerable members of society Bishop Dowling’s ministry is inclusive of everyone in the community. He instilled in Tapologo values that are basically Christian as well as inclusive human and cultural values that promote life-giving relationships. Under his leadership Tapologo has grown to include 10 wellness clinics, a hospice, provision of Anti-retroviral therapy, programmes for orphaned and vulnerable children, outreach programmes, advocacy and lobbying, training programmes and psycho social support. Prof Mary Anne Plaatjies van Huffel was the first female minister to be ordained by a Dutch Reformed Church in Southern Africa in 1992. In October 2012 she was elected as moderator of the Uniting Reformed Church in Southern Africa (URCSA) – the first woman to hold such a position in one of the larger Southern African churches. Furthermore she also serves as President from Africa on the World Council of Churches’ Presidents and Leadership body. Prof Plaatjies van Huffel currently teaches Church History and Church Law at the Faculty of Theology at Stellenbosch University and is a co-minister at the URCSA congregation, Scottsdene, Kraaifontein, near Cape Town. Her research focuses on Gender Equality, Church Law, Creeds and Confessions and she has publishes numerous academic papers. Her interests include human dignity especially with regard to vulnerable groups, ethnicity, culture and identity. She is married to Rev. Dawid Van Huffel, full-time minister of the URCSA congregation, Scottsdene. 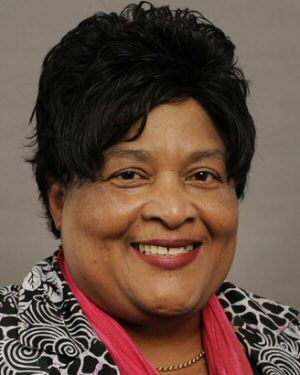 During her tenure as minister of the URCSA congregation Robertson-East, she established the Phumlani Adult Association in the Nqubela Township near Robertson, the Nikithemba aftercare centre, as well as a shelter for the homeless. Her involvement in community upliftment programmes is rooted in her firm belief that the church must act as the hands of God in the world, especially for those in need. She sees herself as a humble servant of God, and is always aware of the urgency of the hour. Mr Willem C Erasmus is a Chartered Accountant. He graduated from the University of Stellenbosch in the fields of Accounting and Tax. As an Audit Partner in the Professional firm of Ernst & Young he served a wide range of clients with his professional opinion and advice on financial and tax matters as well as business strategy. After some years in the Profession he entered the Construction Industry where he led the finance and risk functions of both private and public companies. As an executive director on companies’ boards and part of the executive team he was responsible for setting the company’s strategy and achieving its performance targets. Following his retirement from the Stefanutti Stocks Group, he served in a similar role in a private Health Care Group for two years, with a particular focus on mentorship of younger members of the finance team. He now serves organisations in the non-profit sector with his experience in financial affairs and business strategy. At The Field Band Foundation he is also Chairman of the Audit and Risk Committee. At the Church and Business Against HIV and AIDS Trust he serves as a Trustee with particular focus on the financial aspects of the Trust. He is married to Susan and they have 2 children and 2 grandchildren.